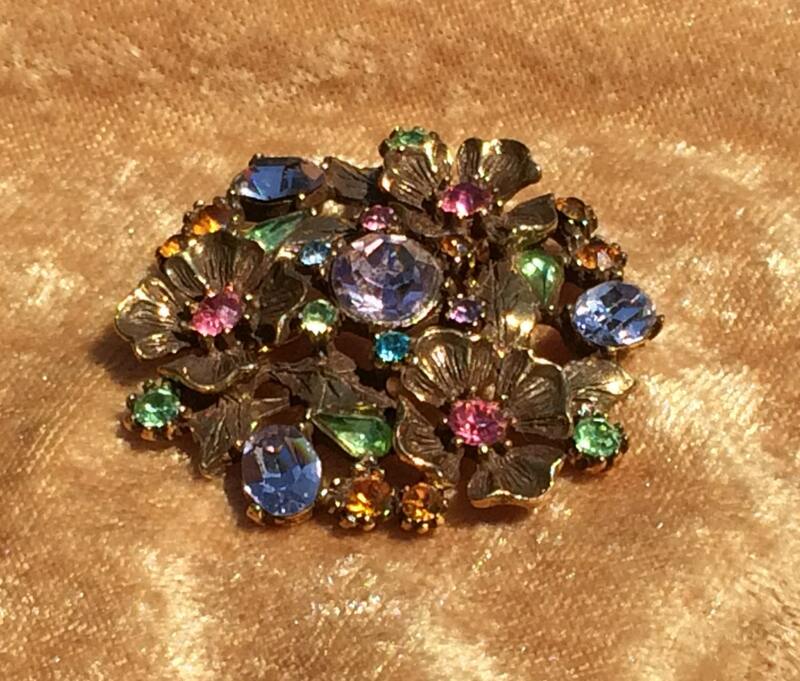 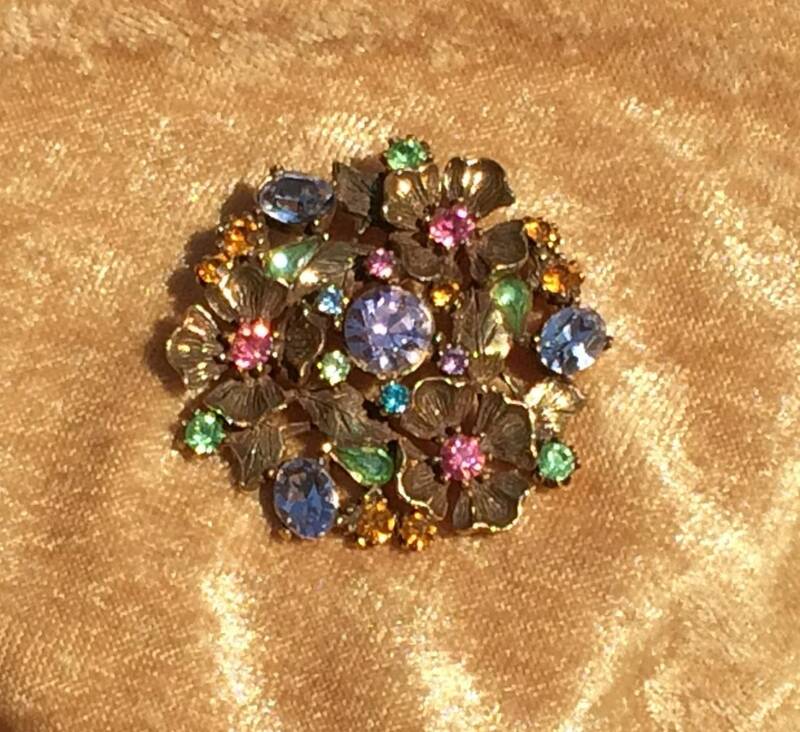 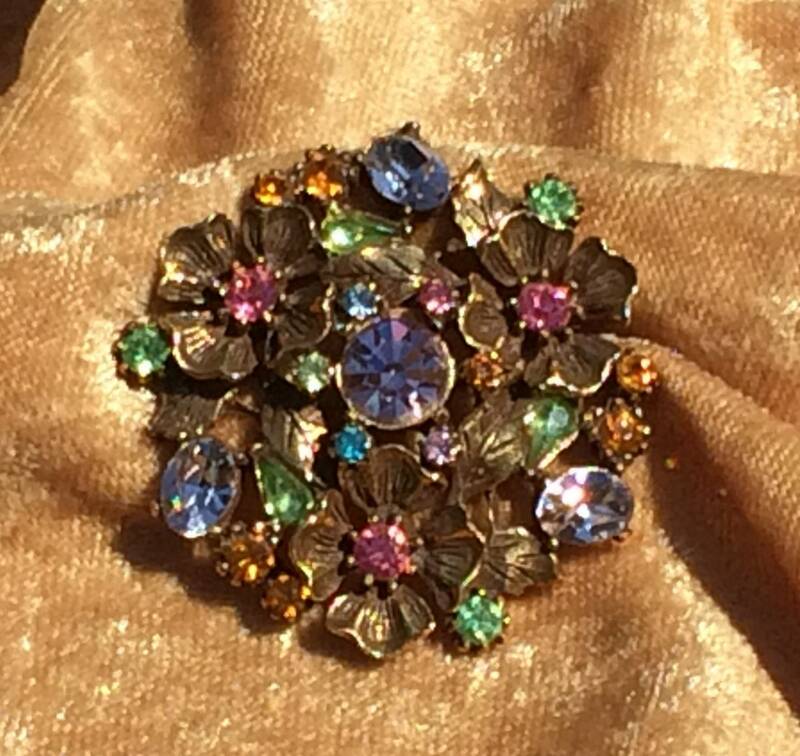 * A nice variety of pretty colored rhinestones sit among the highly detailed and textured gold metal flowers and leaves in this attractive vintage brooch. 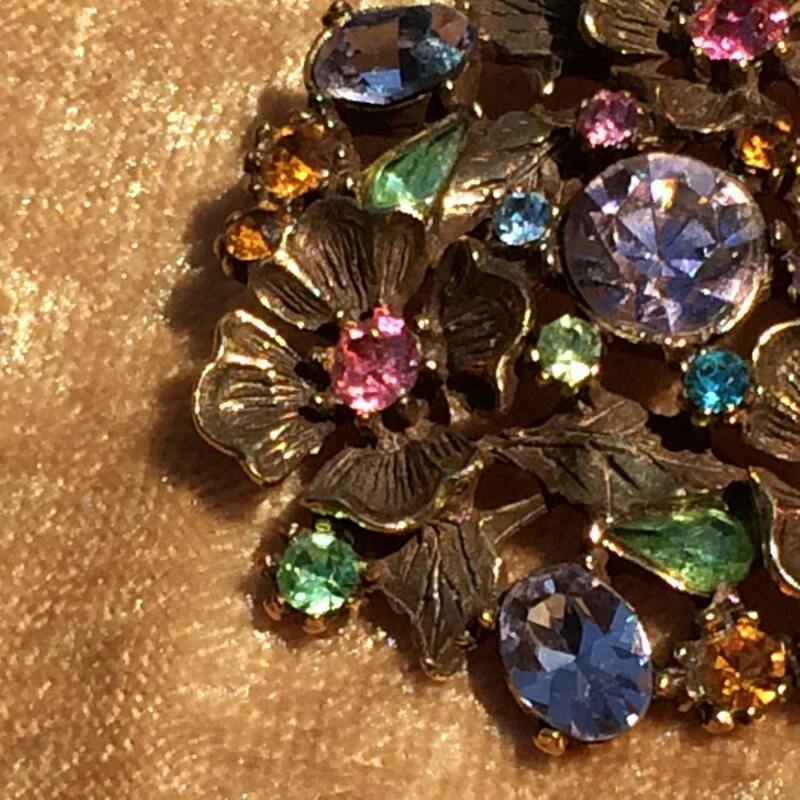 This piece has round, oval and teardrop shaped rhinestones in lilac, pink, green and orange and blue. 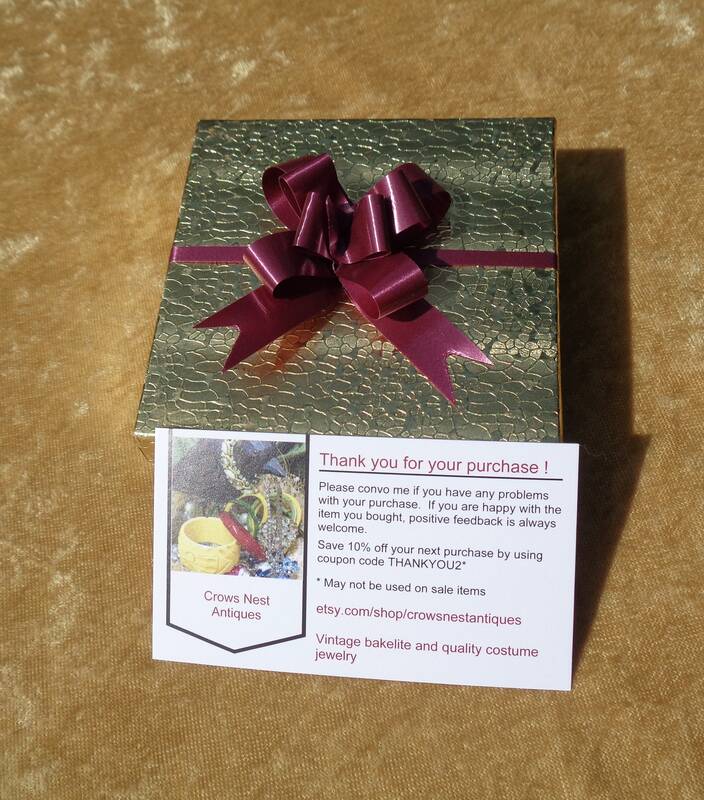 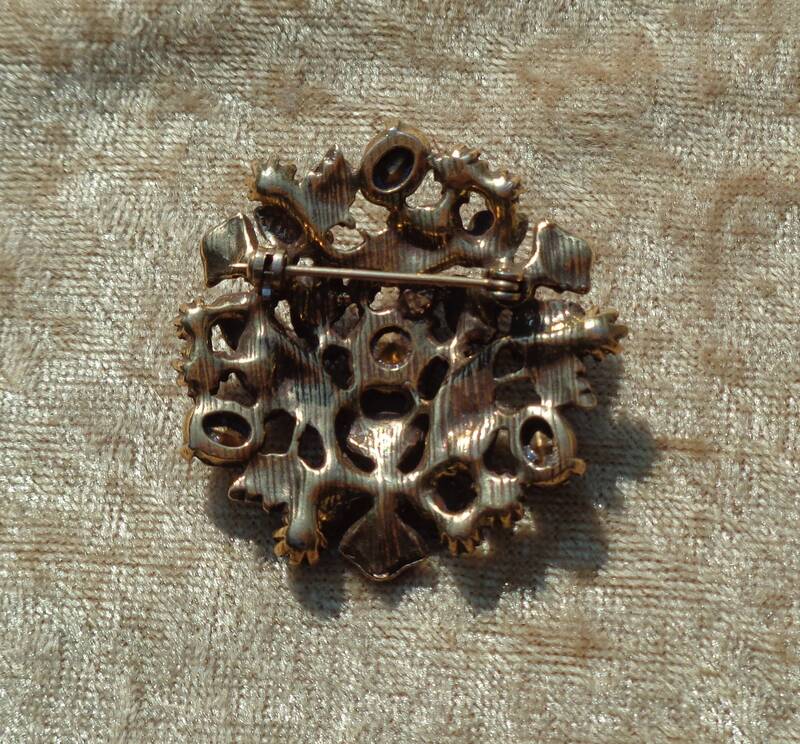 * The pin measures 1 3/4" in diameter and is slightly domed in the middle. 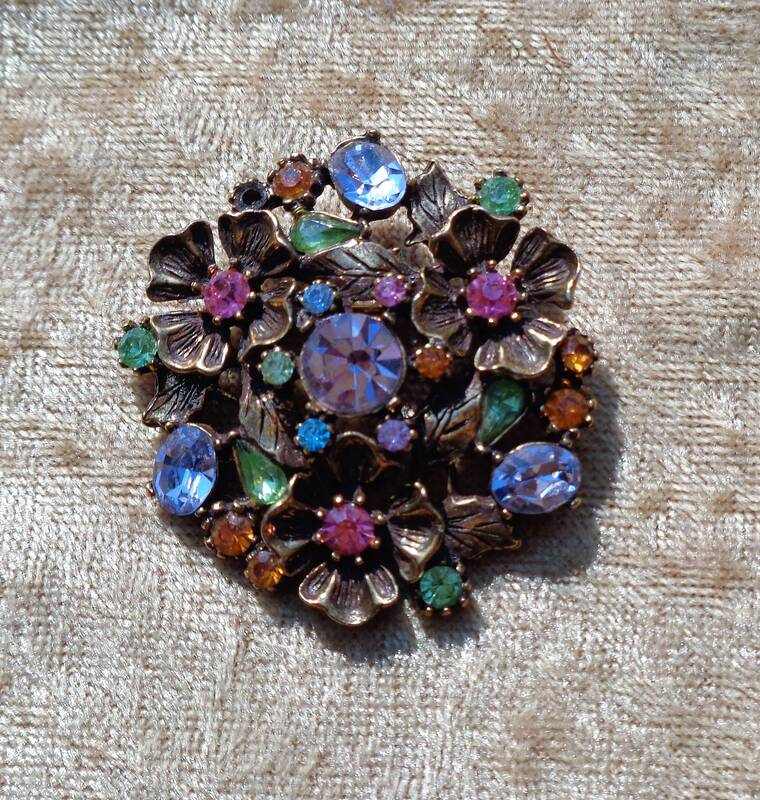 Each of the three flowers curl upward from the base of the pin. 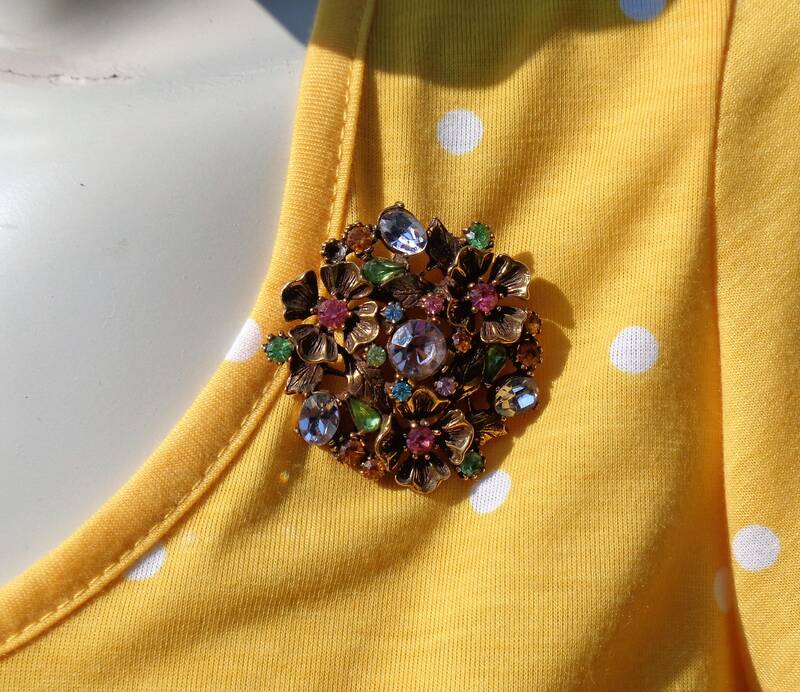 * All of the rhinestones are sparkling and the pin mechanism is original and in good working order and this pin is in excellent vintage condition. 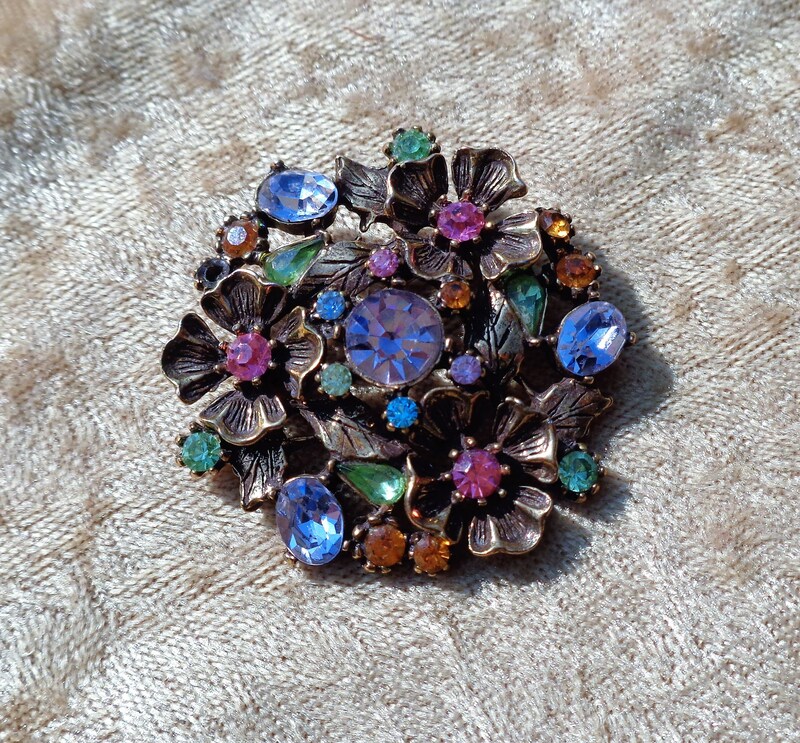 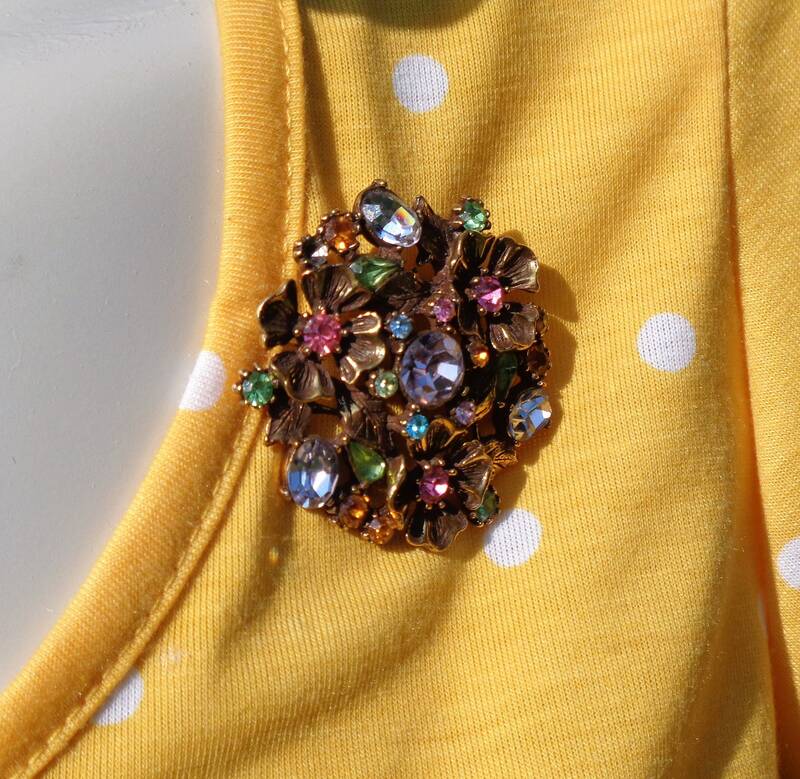 A great vintage pin for your favorite blazer of jean jacket, this pretty brooch is sure to draw attention.